Ana Birchall is Romania’s minister delegate for European affairs. These ten years since Romania became a member of the European Union haven’t always been easy but, today, we have to remind ourselves that, during this period, our country benefited from the opportunities granted by EU membership, proving at the same time that it is a firm promoter when it comes to advancing the European construction. For Romania, these 10 years of membership represent a period characterised by democracy strengthening, social development, modernisation and economic growth, as well as a visible improvement of the life of the citizens. And the journey must continue. I am pleased to remind you that we all, as Romanian citizens, together with other European citizens, benefit by the opportunities created by the freedoms of the internal market – to live, to work and to study anywhere on the Union’s territory. Beyond the numberless opportunities we benefited from once we joined the bloc, our entry into the great European family has facilitated our knowledge and dialogue with other European citizens and with the other cultures. Today, European multiculturalism has become for us an intercultural experience that led not only to importing and exporting, to the same degree, values, traditions and experiences but also to the full acceptance of the “united in diversity” motto. 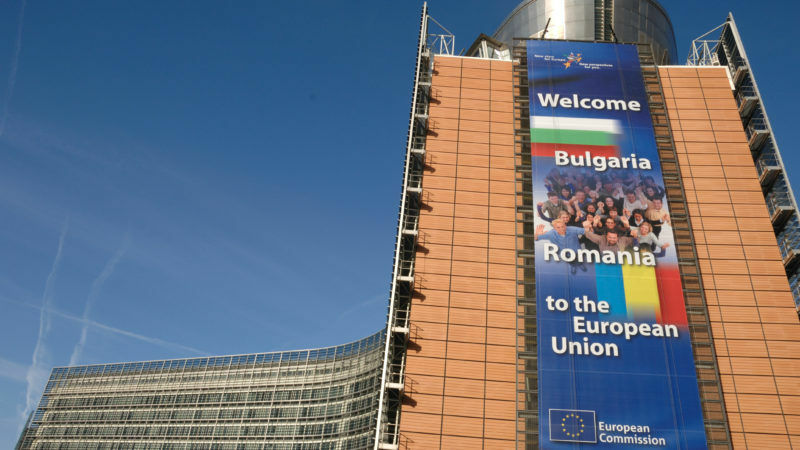 Europe is certainly part of the everyday life of Romanian citizens, as evidenced by the prevailing positive image of the European Union in our country, and by Romanian adhesion to everything that the European project means. The EU is living through a moment of crisis, especially after the United Kingdom’s decision to leave the Community institutions. We don’t have to hide! However, there is no alternative to the European project and it is up to us to reactivate it. I already said it and I will repeat it every time I have the chance: only if we stay united are we stronger and only if we stay united will we have the power to solve the problems we are facing today. Only if we stand together can we guarantee a better European future, for us and for the generations to come. Europe will be stronger only if we break down the walls that stand between us and not by building new ones. Having this in mind, we are intensively preparing for a challenge that Romania must turn into an opportunity – exercising the Presidency of the Council of the European Union in the first semester of 2019. Our intention is to prove that Romania is a partner able to provide common solutions and ideas that will advance the European project to the benefit of each of us and I am convinced that this can be achieved. The construction of the European Union is far from being completed, as Romania’s full integration into it is still in progress. The latter shall be fulfilled only when the development gaps between the East and the West, between our country and the founding member states of the Union will be further reduced, when Romanian citizens will no longer have to seek a future in other European countries and will build Europe at home. However, looking back at the last decade, I invite you to be optimistic and to celebrate today by looking to the future. The Europe-Romania is and must remain a successful story. I sincerely believe in my Romania and in our European Romania! It is our opportunity, it is our chance on 1 January 2019, when we will hold the rotating Presidency of the EU Council, and not only then, to show both the Romanians and the rest of Europe that we are an honest nation, with intelligent and diligent people. We will be successful only if all of us who think the same will get united and will not behave like an isolated island but we hold together and return to that system of values with deep roots in everything that defines us as Romanians and Europeans. Happy Anniversary, Europe! Happy Anniversary to all Romanians and Europeans!